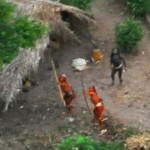 Survival International warned today that the uncontacted Amazon Indians recently photographed from the air have been abandoned to their fate after drug smugglers and illegal loggers overran a government post that had been monitoring the Indians’ territory. The Indians, near the Xinane river in Brazil’s Acre State, are just over the border from Peru, where activists have long denounced the scale of illegal logging in isolated Indians’ territories. The recently-photographed group also faces a serious threat from a road reportedly built into the area by the Acre state government – regional indigenous organizations have said this could devastate the uncontacted Indians on the Xinane River. 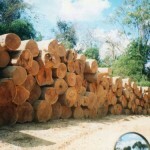 Previous road-building projects in the Amazon have wiped out countless tribes. In recent months several groups of uncontacted Mashco-Piro Indians have been spotted along river banks on the Peruvian side of the border, prompting further speculation that illegal logging is pushing them out of their previous isolation. 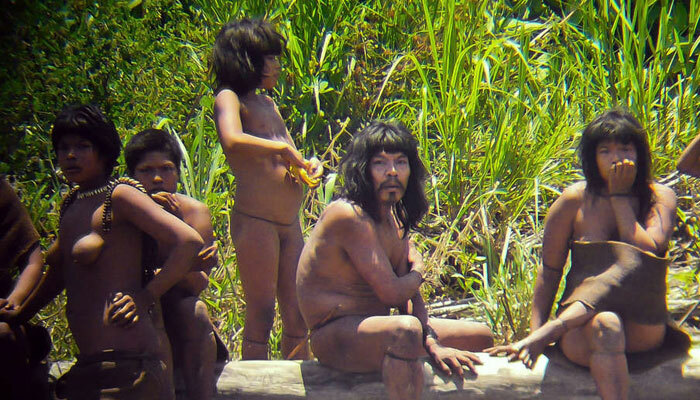 The Brazilian and Peruvian authorities last week signed an agreement to improve cross-border coordination, in an attempt to safeguard the welfare of the many uncontacted Indians living in the border region. Survival has previously released extraordinary aerial footage of some of these uncontacted Indians: Watch the video here. Survival’s Research Director Fiona Watson, one of the world’s leading experts on uncontacted Amazon tribes, is available for interview.